In this article, we are going to show you how to hide your IP address on your Windows PC and Android device for online security. Using the internet is a common thing as well as a necessity to keep you entertained, informed and for socializing. With the internet, you virtually have everything at your fingertips. You can watch TV shows, movies, play games online, use social networking sites and do many things that you can think of. You can spend hours using the internet, but what about security? Do you know your IP address is being recorded on every site you visit? Yes, and they can keep an eye on all your online activities. If you do not want to be tracked while using the internet, you should know how to hide your IP address in your PC. You should take security measures like hiding your IP address and use strong passwords to browse securely. Now let’s see How to Hide Your IP Address in PC and Smartphone for Online Security. Hiding your IP address on PC is very simple and you get various ways for doing it. 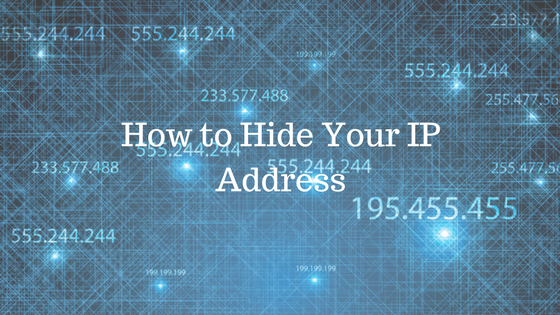 Let’s look at the ways to hide your IP address. With the help of VPN proxy service, you can easily hide your IP address and browse the internet freely and securely. You just have to download the apps and install in your system. Some of them give additional security features too that can be useful for your internet security. There are some very reliable VPN services which will help you to mask your IP address and take care of your security. This is another way that can help you to hide your identity on the internet. As you will be using a web-based service, you don’t have to install any software or application on your system. With the help of these sites, you can browse the internet with a great level of security. Remember, hiding your IP with a proxy server is usually the riskiest option you have available. Sometimes they will slow your internet down and some run on compromised machines. Be sure to way up all your options before making a final decision. There are many website proxy servers that will let you browse the internet and also hide your IP address. As more and more people are using the internet on their smartphones, it has become important to hide the VPNs so that they can browse the internet with security. You can either use VPN apps for Android to hide your IP address or do it manually so that you are free from anyone tracking your online activities. As you know now How to Hide Your IP Address in PC and Smartphone for Online Security, you should be alert and take small steps for making your internet usage very secure. The above ways will certainly help you to achieve that small step and give you privacy while using the internet.